This is an educational handbook issued by the Basque Council on Culture (Consejo Vasco de la Cultura) for the purpose of providing background information on the Basque Country, and containing the most important aspects of our culture. Language, culture, arts and cultural services are given with a certain degree of detail. However, the picture would be incomplete without providing some information about our history, services and lifestyle (society, values, official institutions, economy, political system and government). This does not intend to be an in-depth piece of research. Instead, it is a summary of an earlier book, rewritten in handbook form. 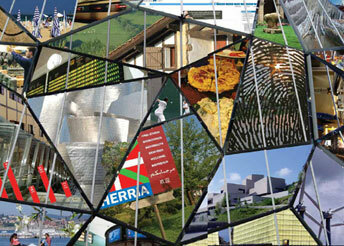 The purpose is to provide readers with a general overview of Euskal Herria (the Basque Country). We also hope it will spark curiosity and encourage readers to take their own initiative to learn more about the subjects introduced in this handbook. Click Here to read this handbook.